Ferrari execute the DHL Fastest Pit Stop in the Japanese GP. Kimi Räikkönen is equipped with fresh tires in 2.24 seconds at Suzuka. 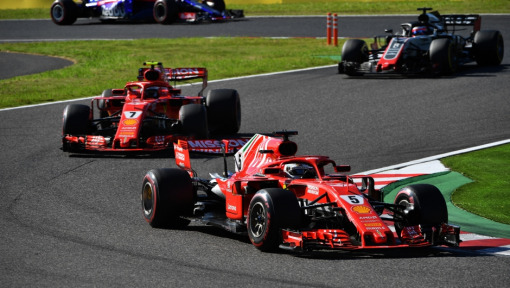 While Ferrari may not be happy with the result of the Japanese Grand Prix, they had every reason to be pleased with their pit crew’s performance. 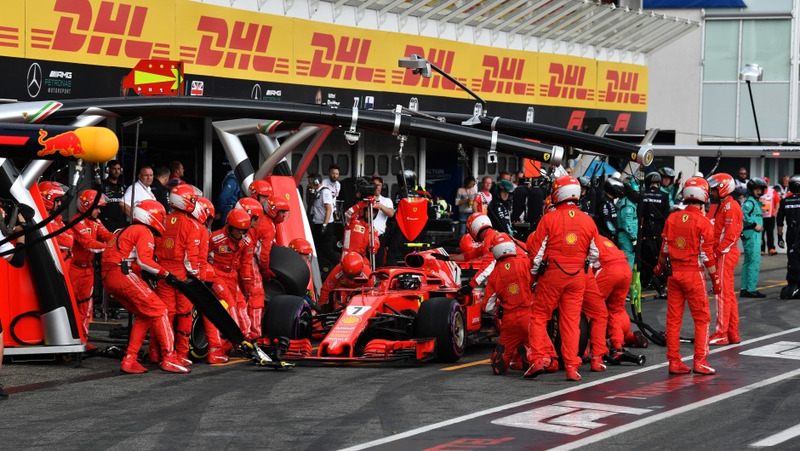 While Kimi Räikkönen and Sebastian Vettel were unable to finish higher than fifth and sixth respectively, the Scuderia demonstrated perfect teamwork when changing tires and completed the DHL Fastest Pit Stop. Räikkönen came into the pits on Lap 17 and was equipped with fresh medium tires in 2.24 seconds – the fastest time of the afternoon at Suzuka. 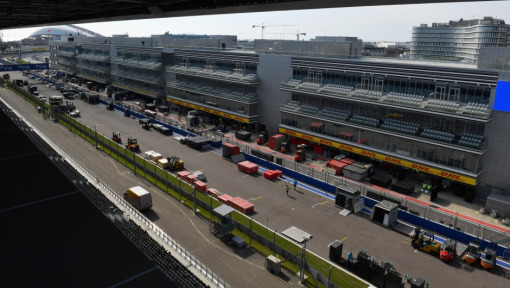 After a contact with Max Verstappen, Räikkönen stopped earlier than the other top drivers but that did not benefit him, as he got stuck in traffic after leaving the pit lane and thus had to let the two Red Bull drivers Verstappen and Daniel Ricciardo go through. They stopped on Laps 21 and 23 respectively. "After the contact with Max I saw some parts flying off my car; it was damaged pretty badly on the left hand side. Obviously, this affected negatively the rest of my race. What happened is unfortunate and after that it was pretty difficult to drive on. I had lost a lot of downforce, but there was not much I could do", Räikkönen said. 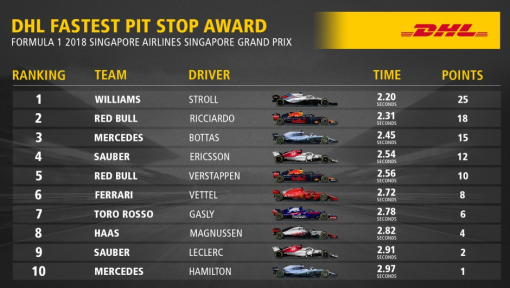 The second-fastest stop went to Mercedes, who turned around race winner Lewis Hamilton in 2.31 seconds, beating Vettel by the smallest of margins, who bolted on fresh tires in 2.32 seconds on his only pit stop. 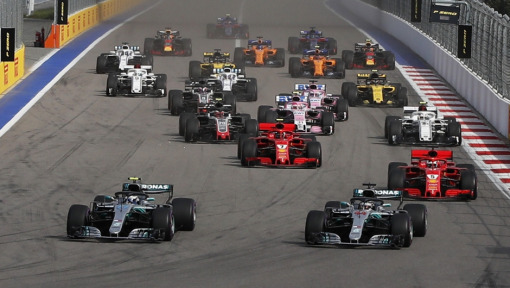 The Silver Arrows executed the fourth-fastest stop for Valtteri Bottas, who was turned around and sent back out with fresh tires in 2.42 seconds. As with so many races this season, most teams at Suzuka again opted for a one-stop strategy due to the low levels of tire wear. 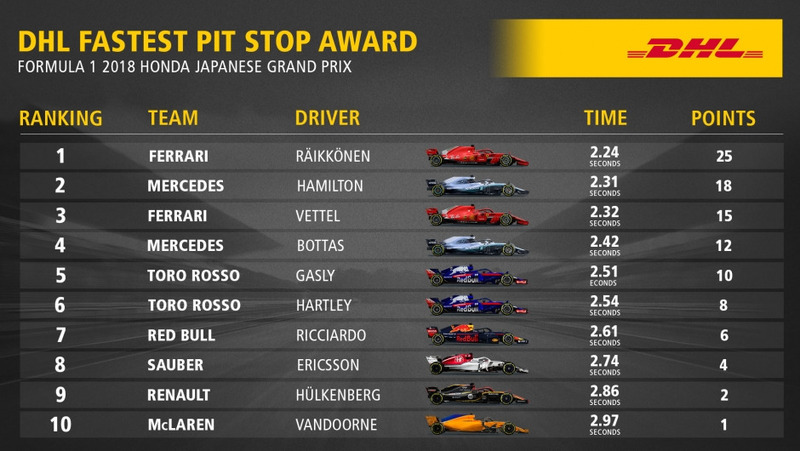 There were 23 pit stops overall in the Japanese GP, ten of which took less than three seconds. 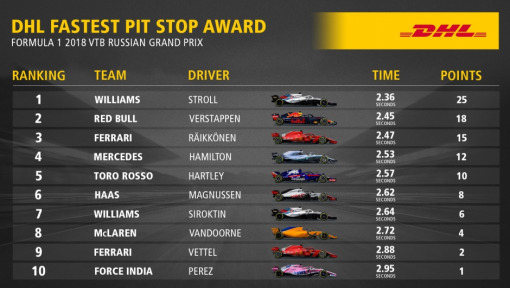 Red Bull Racing on 397 points continue to lead the overall standings of the DHL Fastest Pit Stop Award despite the fact that the competition has managed to reel them in slightly. With four races to go before the end of the season, Ferrari are on 302 points, followed by Mercedes (262), Williams (229) and Sauber (202). All communications on Logistics of Things should be appropriate for a professional community, respecting the diverse views of individuals from different backgrounds. We will review all comments and reserve the right to terminate or restrict access to user's account and to delete any content posted through it, without notice and at our discretion, if we deem it to be overly promotional, offensive, or off topic. All posting become property of DHL.